A loan will pay for this kitchen renovation. Renovating your kitchen is a good investment. You'll not only get to enjoy a nicer, more efficient kitchen but you'll probably get up to 90 percent of the cost in added value on your home, according to a survey in Remodeling magazine. Renovations can be simple, such as a new floor and appliances, or extensive, adding space and replacing cabinets and countertops. 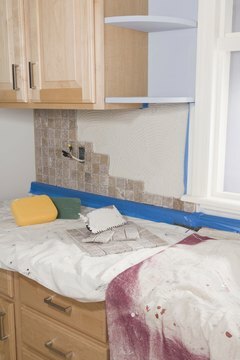 No matter what type of renovation you make, you probably will have to borrow some money to pay for it. You have several options for borrowing. A home improvement or home equity loan from your current lender or another financial institution will provide money for renovations. This borrows against the money you've invested in your home. If your home is valued at $200,000 and you only owe $100,000, you have $100,000 to borrow against. Home equity or improvement loans get you all the money at once but will have fixed interest rates and terms and require fixed monthly payments. The interest on a home equity loan is typically tax deductible. The Federal Housing Administration Title 1 program allows FHA loans up to $25,000 without any home equity backing, for improvements in the livability and utility of a home. Loans can be for up to 20 years. These also will have fixed interest and fixed repayment schedules, which may be costly over a long period. A home equity line of credit also is borrowing against your home, but on more flexible terms. You just take out money as you need it so you don't pay interest on the whole amount the whole time. Repayment terms also are not fixed. You often can make only minimal payments or pay interest only some months or can pay off the line of credit at any time. This is the most flexible way to borrow for a renovation. Its interest also is deductible. You may get a personal loan for a small renovation if your credit is good and your income is substantial enough to guarantee it. You'll need a good credit score and proof of income. You can get personal loans from your current financial institution or another one. You can get an unsecured loan or secure it with some personal collateral to get a lower interest rate. This interest generally is not deductible. If you're doing a really major renovation, consider refinancing to increase your mortgage. This will wrap the cost of renovation into your total home loan. That may cost you less per month than paying off a home equity loan, but you'll pay for the renovations for the term of the mortgage. This may be a better option if you don't expect to stay in your home for the life of the mortgage. All mortgage interest is tax deductible. Daily Finance: What's the Best Way to Borrow for Home Renovations? Is it Possible to Get a Home Loan for More Than a House Is Worth for Repairs? Is a Line of Credit or Personal Loan Better? What Is the Shortest Mortgage? How Much Does a 1% Interest Rate Drop Save on a 15-Year Fixed Mortgage? Can You Get Extra on a New Home Loan to Pay Off Other Loans? 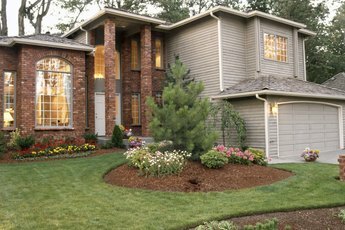 Can I Get a Home Improvement Loan With an Owner-Financed House? How Much Can I Borrow from Mortgages? 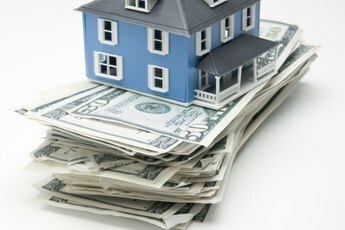 What Kind of Loan Can I Get to Remodel My House If It's Already Paid For?